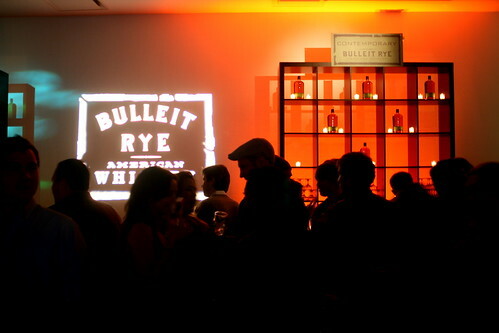 I recently attended the launch event for Bulleit Rye in New York. This was exciting, as I've long been a fan of Bulleit bourbon -- it's a spicy, "high-rye" bourbon, with a goodly percentage of rye (28%, which is fairly high for bourbon, plus 68% corn and 4% malted barley) in the mash bill. It's balanced and very mixable. The rye whiskey is much higher in rye content at 95% rye and 5% malted barley, which is perhaps the highest-rye whiskey I can think of, with the exception of Anchor's various Old Potrero whiskeys at 100% rye. 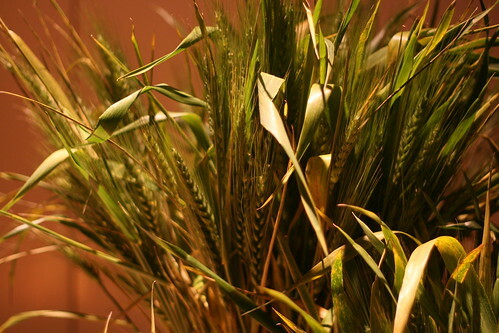 Seven years ago, brand impresario Tom Bulleit began planning this rye offering, and I'm very glad he's brought it to market. (The whiskey is aged for four to seven years, so he apparently got started right away when he had the idea.) It's got a great spicy-fruity aroma, and far less bite than I'd have expected for a whiskey with so much rye in it. It's got a strong rye flavor -- but not quite as peppery as some other ryes -- and it's complex, dry, and balanced, with lots of toasty toffee and oak notes. It's really good for straight sipping; normally I choose bourbon's sweetness and corn mellowness for a sipping whiskey, but this rye is well-balanced enough that it goes down easily. (Or rather, it goes down easily, but lets you know it's there on the way down.) And since I love rye whiskey cocktails, I was excited to taste it in some mixed drinks. I had a very good Manhattan (made with a splash of Averna in addition to the vermouth and bitters) and a simple yet superb Old-Fashioned, where the whiskey shone. I didn't get much of a chance to talk to Tom Bulleit this time, as he was mobbed, but his daughter (and brand ambassador, and artist) Hollis Bulleit took a moment to catch up with me. 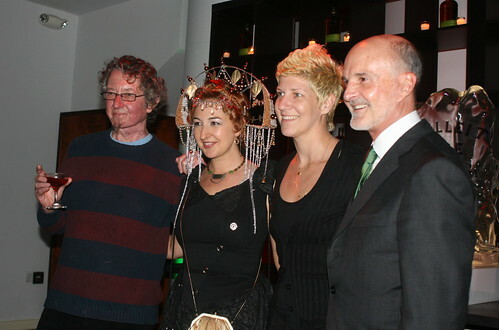 I loved her necklace, which she'd made from an old "Rye" whiskey bottle tag, and she's always easy to spot in her colorful clothing and handmade headpieces. She told me that she's relieved that the signature color of Bulleit Rye's label is green, as it was getting harder and harder to find things in the right shade of orange as the bourbon's label.